There has been a “gradual increase” in the number of Filipinos gaming aficionados traveling to Saipan for casino gambling, a tourism marketing group said Wednesday. Aviareps, a leading tourism, hospitality, and aviation representation company, said Filipino high stake rollers visit Saipan because they want a break from the traditional destinations such as Macau and Las Vegas. Saipan is home to what has been cited in reports as one of the most “lucrative” casinos in the world, the Best Sunshine Live Casino. Recent data from Aviareps showed that there has been a 15 percent increase in the number of Filipino tourists visiting Taiwan this year. More than 1,000 Filipinos are traveling to Saipan monthly this year. Aviareps Philippines Office Director Jean Lugan said that although Saipan has only one casino, it is strategically integrated to other places of activities within the island. “It is increasingly becoming a buzzword for Filipino gaming aficionados,” Lugan said in a press statement. Lugan further said that Saipan is also becoming a very attractive destination for Filipinos with the existence of direct flights from the Philippines courtesy of flag-carrier Philippine Airlines (PAL). She said that Saipan has an advantage because of its proximity and the large Filipino community in the island. Filipinos currently account for close to 40 percent of Saipan total population of 55,000. 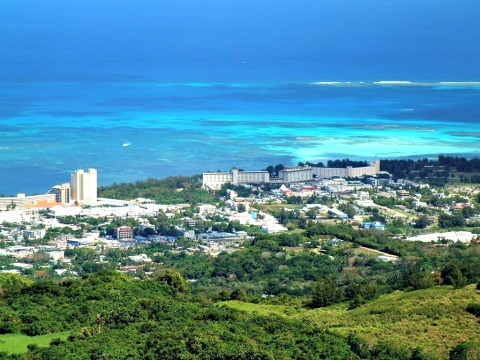 Saipan quickly catapulted to the top in terms of its reputation in the gaming industry rivaling some of the world's biggest gambling enterprises with its Best Sunshine Live Casino which only opened in 2015. Last year, the casino reported revenues amounting to USD 32.40 billion from its VIP Tables, higher than gaming giant Venetian Macau which generated USD 28.90 billion. In the same year, Best Sunshine Live also collected more than 50 percent in income compared to Macau's Wynn Resorts Ltd.
Best Sunshine Live is a temporary casino run by Best Sunshine International which is a subsidiary of Hong Kong-listed Imperial Pacific International. The temporary casino will be running until the five-phase construction of the permanent casino. The target for the integrated resort project is to have 4,252 rooms, 300 villas, 1,600 gaming tables and 3,500 slot machines.